It’s not hard to believe that Minneapolis-St. Paul—a pair of cities that has been widely raved about for its sublime road cycling options—is also home to over a dozen prime single and double track mountain biking trails. This is all thanks to the tight-knit Minnesota Off-Road Cycling (MORC) community, which spends its summers diligently maintaining and improving their trails. Bikers who live in mountainous regions may first question Minnesota's mountain biking capabilities. But, what the Midwest landscape may lack in mountainous goodness, it more than makes up for with plenty of other intriguing features. Minneapolis-St.Paul is blessed to have glacially etched river gorges running right through their downtowns, which feature scenic river views, densely wooded floodplain forests, steep ravines, and towering sandstone bluffs—all of which combine into the perfect riding terrain. 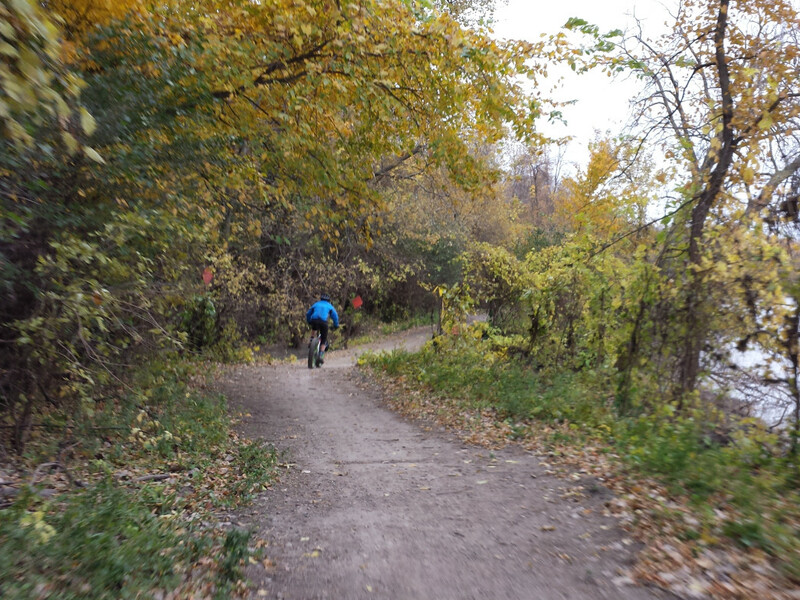 Here’s our insider guide for mountain biking in the Twin Cities. 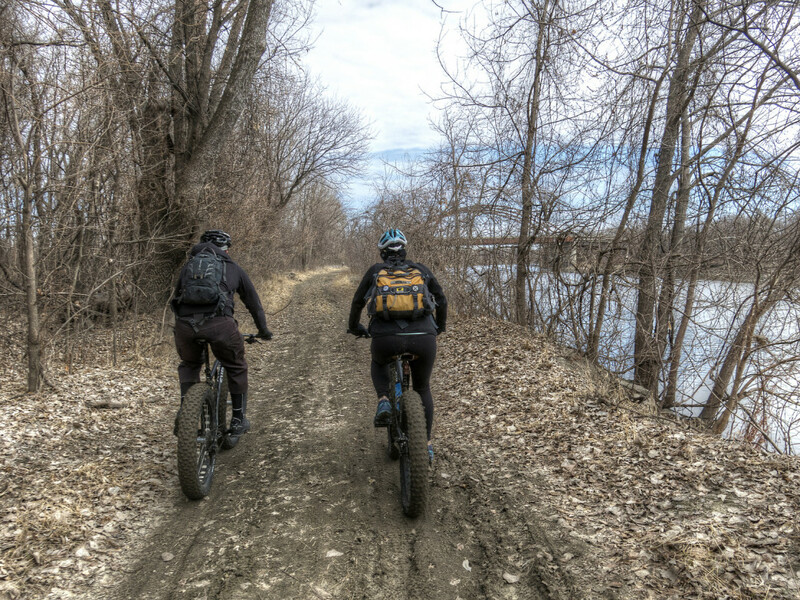 Hidden away in the Minnesota River gorge, within the Bloomington Ferry Unit of the Minnesota Valley National Wildlife Refuge, is the 11-mile Minnesota River Bottoms Trail . For 400-acres, the trail weaves through mature woods, wetlands, and floodplain forest. It’s hard to imagine such a beautiful trail can be found only minutes away from the bustling Minneapolis-St. Paul International Airport. This trail is popular for beginner to intermediate riders because the River Bottoms is mostly a packed-dirt, double track trail. Depending on the season, some portions may be sandy due to flooding, but with some maneuvering, this trail is very rideable. It can also really give you a workout (especially for those riders who want to crank their gears and work on their endurance). This trail is also famous for the section called “9 Mile Creek.” Bisecting the trail is a small river, which is just deep enough to stop bikers in their tracks. Luckily, MORC developed two options to traverse the waterway: you can either pull yourself across via a raft, Indiana Jones style, or carry your bike over by the 2-foot wide footbridge. For advanced riders, there are many opportunities to get off the main trail and find some excellent technical singletrack. Just past 9 Mile Creek is a thing strip of singletrack that hugs the river. This tight and fast trail offers its patrons sharp turns, so be sure to practice good technique, unless you want to biff it into a patch of oak just off the track. 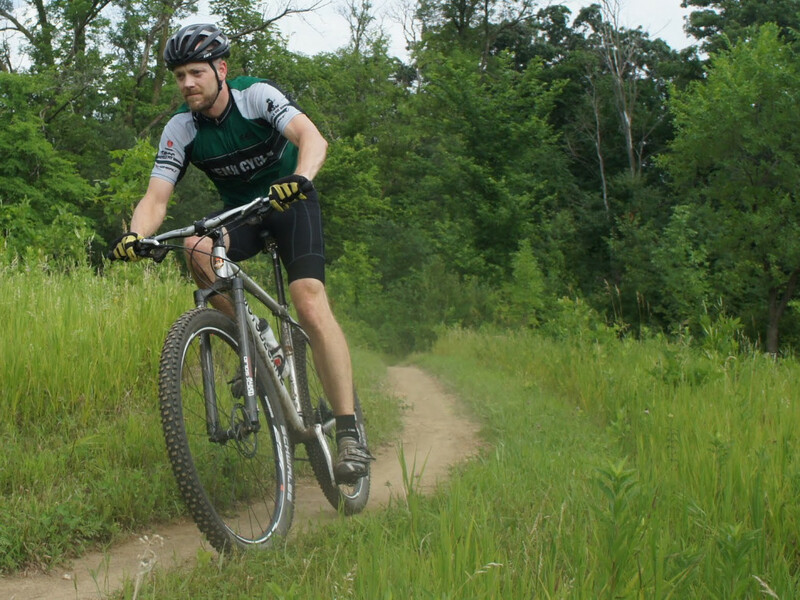 For a taste of southern Minnesota’s most strenuous mountain biking tracks, head on over to Murphy-Hanrehan Park Reserve . Thanks to the rugged, hilly terrain, this park offers its riders technical features, such as step bridges and the infamous uphill rock garden. There are three trail loops, all of which add up to 10-miles of single track. The first loop is 1-mile long and is aimed for beginners. The 2.5-mile intermediate loop plunges into a roller coaster of steep ascents and short declines all enveloped by an oak-aspen forest. Advanced riders will appreciate the 6.9-mile advanced loop, which starts with the uphill rock garden. At the top of the garden, you quickly descend through narrow trails with sharp twists and turns. From beginning to end, prepare for steep boardwalk steps, a skinny, and a narrow tread cutting across steep side slopes. Just north of the Minnesota River Bottoms, is Fort Snelling State Park’s Mendota Trail . If you’re new to mountain biking and want a trail that’ll offer hard-packed track and some scenery, then this is the trail for you. The trail is very flat, and during perfect conditions can either offer its rider a mellow afternoon ride or a fast-paced, gear-cranking workout. Most riders park and start their ride from the Cedar Avenue Bridge (a state park parking pass is required). The trail hugs the Minnesota River for most of the way, and features beautiful scenery and great wildlife viewing opportunities. It’s not unheard of to see beavers off trail, hacking away on a tree or working on their dens. Since the trail is shared with walkers and runners, make sure to be considerate while passing. Due to occasional flooding, especially during the spring, some portions of the trail may be sandy or muddy. Be aware that sometimes this causes the trail to be impassible. 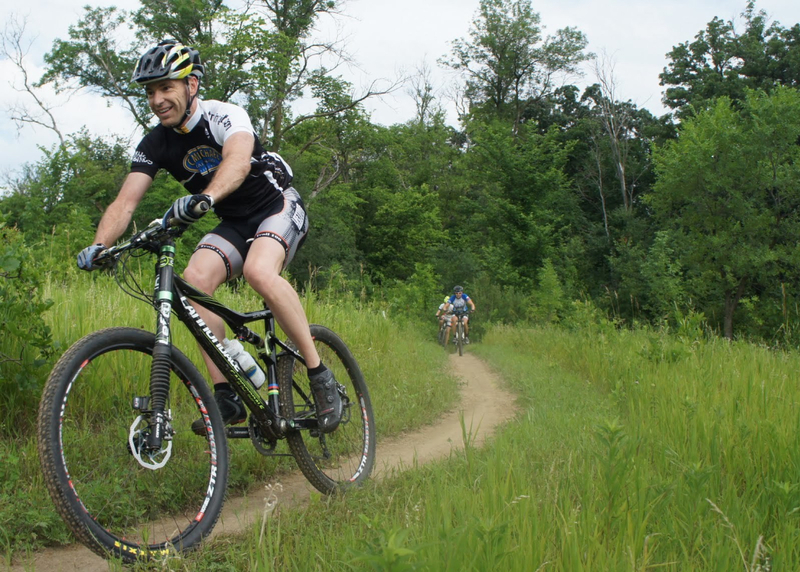 With trail names like “The Luge”, “Wall of Death,” and “Big Wheezy,” it’s no wonder Battle Creek Regional Park is known as one of the best mountain biking tracks in the Twin Cities. 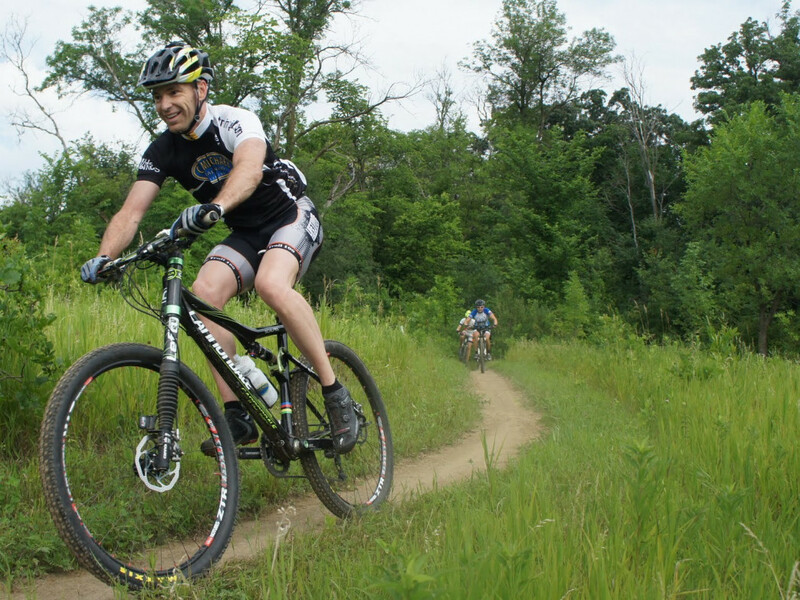 Just 5 miles southeast of the heart of St. Paul is a 1,840-acre mountain biking playground. 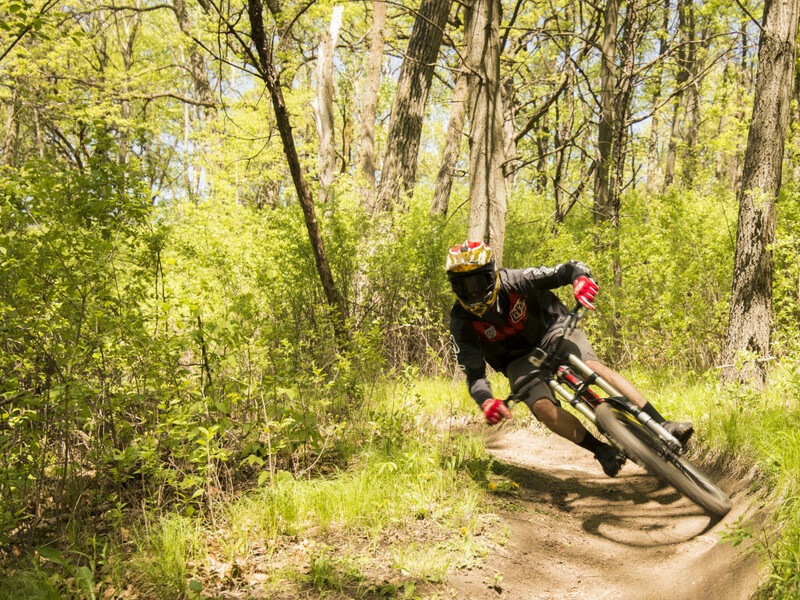 Battle Creek’s extensive network of single and double track trails transcend through dense woods, rolling prairie, and grassy hillsides, offering its riders some world-class mountain biking terrain. Though the park is renowned for its 10-mile expert single track, the park also hosts a variety of trails for riders of all skill levels. If you want a real workout, then you’re in luck because the whole park is strewn with hills. Most of the hills have gradual climbs, but for the advanced riders, there are a few lung bursting hill climbs and some high-speed downhill runs (especially in the southern corridor). On these routes, the trail is narrow and depending on what loop you take, there can be some sharp turns. Look out for loose rock and the occasional exposed root. If you’ve never been to Battle Creek, it is best to enter with an open mind and adventurous spirit. The trails are not well marked and sometimes downright confusing, but this is what adds to the fun. New riders must use their instincts to navigate the windy trails, but if you’re up for an adventure, biking through Battle Creek will be an unforgettable experience. If you want to try out the park with local experts, the Battle Creek bike community encourages new riders to join them on their group rides, which leave from the Rec Center at 6PM every Wednesday (weather permitting). For a more detailed review, make sure to visit Battle Creek’s MORC page.